The Economic Cooperation Organization (ECO) is an intergovernmental organization involving 7 Asian and 3 Eurasian nations, part of the south-central Asian union. 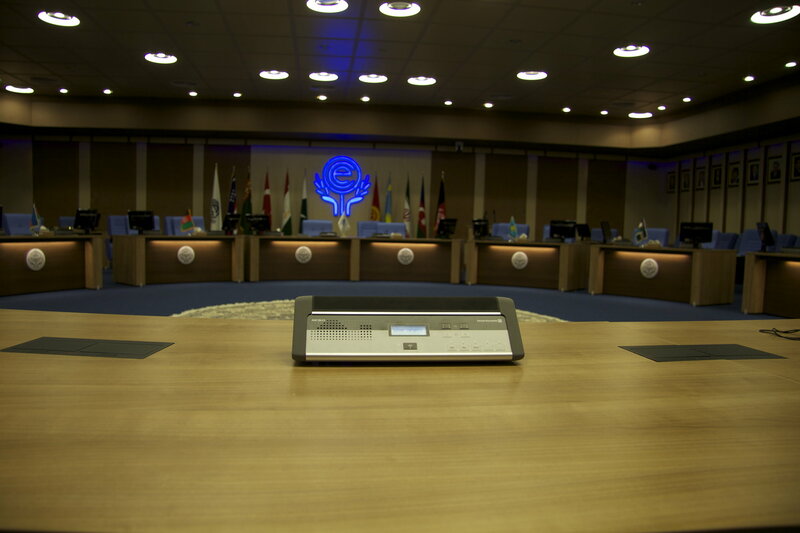 ECO secretariat and cultural department are located in Tehran / Iran. The ECO main building in Tehran is located in the north of the city in “Kamranieh“area. 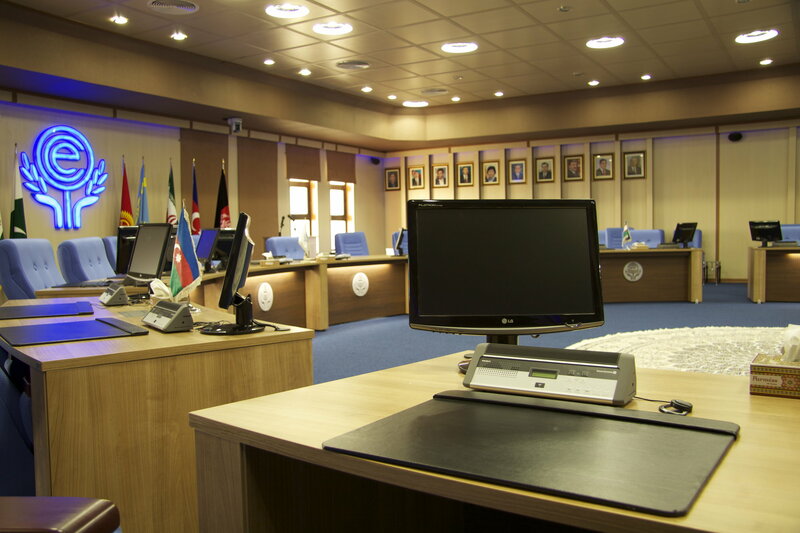 In the main conference room a MCS-Digital conference system with 28 microphone units using Revoluto technology with voting and language selector options has been installed, together with camera control via iCNS software and four MCS-D 202 interpreter units. The interpreted languages can also be heard through an IR wireless system with 82 SIR 320 receivers. Compared to a gooseneck microphone, the microphone units with the patented Revoluto technology provide in most applications a corridor characteristic and more comfort while speaking. There is no need to adjust a gooseneck microphone and the voice range is much wider. Whether you lean backwards, stand up or turn your head, the quality of the intelligibility always remains the same with Revoluto.